CoilyQueens™ : Help, my hair is growing slow! Help, my hair is growing slow! I have been natural for 3 years. I shampoo once per week. My hair is growing, but it appears to be growing rather slowly, well below the average. I have seen women who have been natural for 1.5 years and they have really good growth. What am I doing wrong??? Identify whether you are having a retention issue or growth problem. Hair retention, how much of your hair growth each month are you able to hold onto. Your hair is growing at the average rate, however it is breaking off due to various reasons. Using bad ingredients which damage your hair. Growth problem. The average rate of hair growth per month is .50 an inch. Some people receive less than this and that is slow hair growth. Once you identify what is getting in the way of your growth or retention issue then you treat that area. For most people it is several areas, they must correct. Select the article next to your length blocker and start your corrective journey today. 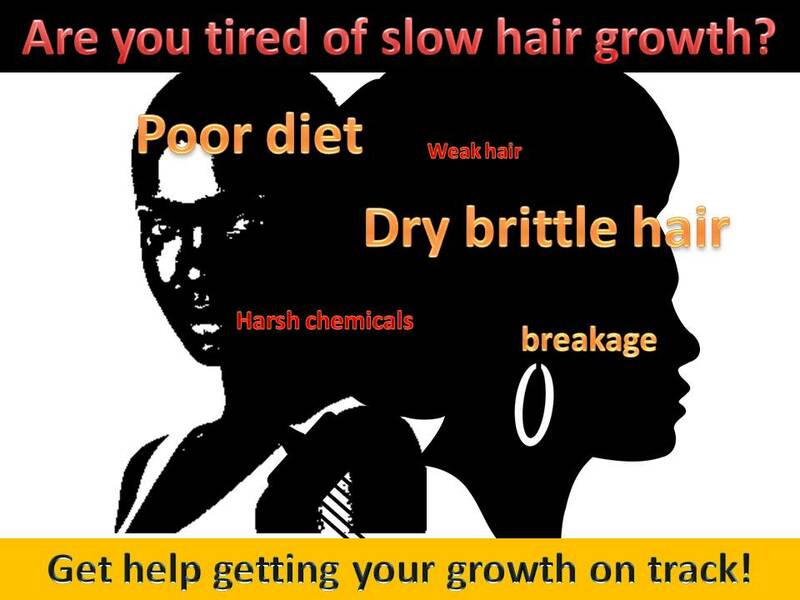 After you have corrected your issue join one or my hair growth challenges to give your hair growth a much needed BOOST!! !